I’m not an author, I’m not an artist, I’m not an editor or an art director. That said, I spend my days sharing their talents by promoting their books to the people who read them with kids. I’m honored to work with my publishing clients (Phaidon, minedition, Kane Press and Greystone Kids) and proud to take their work out of my bag and read them aloud. 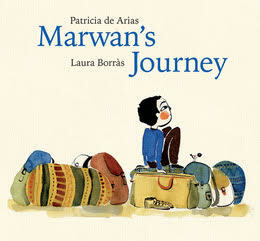 A Kirkus Best Book, a National Council of Social Studies’ Notable, a USBBY Outstanding International Trade book, Marwan’s Journey by Patricia de Arias, illustrated by Laura Borràs, is the journey of one boy who longs for a home with uncertainty and hopes for a peaceful future. As I said when chatting with NPR’s Deborah Amos, “the text is so lyrical and so beautiful, without being heavy handed” and the art complements without taking over. 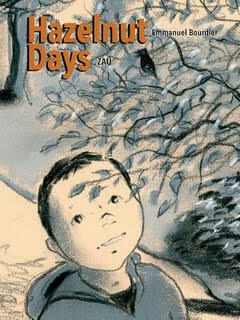 I’ll leave it to Elizabeth Bird of A Fuse #8 Production SLJ blog to describe Hazelnut Days by Emmanuel Boudier, illustrated by ZAÜ: "a whipsmart approximation of all the conflicted feelings a child is privy to when they visit a beloved parent behind bars. A book that works beyond its surface message.” Read more here. 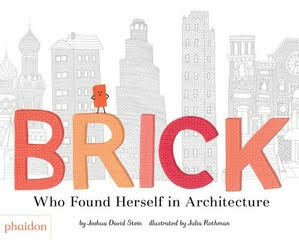 In Brick, Who Found Herself In Architecture, by Joshua David Stein, and illustrated by Julie Rothman, a young brick goes on a journey to find her place in the world. Yup, you read that right: a young brick. It’s A Girl Thing! : Smart, Fierce and Leading the Way by Pri Ferrari. 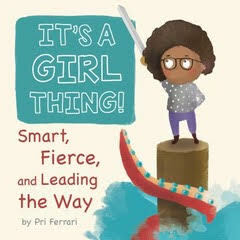 A perfect introduction to girl power for kids who love or are on the cusp of reading Stong is the New Petty, She Persisted and Good Night Stories for Rebel Girls. Simple and sure to inspire the next generation of rule-makers and rule-breakers. “Home is where you make it.” Seems so simple, but it’s really a big think for preschoolers. 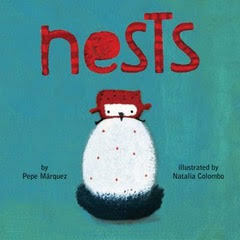 Nests by Pepe Márquez; illustrated by Natalia Colombo, is “a warm assurance that ‘every nest is as special as every bird’” (Kirkus) — or child. 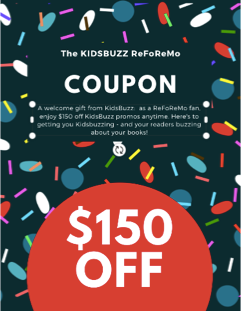 Deborah is offering a $150 coupon to KIDSBUZZ for one lucky winner. To be eligible for prizes throughout the challenge, you must be registered by March 4, comment on each post, consistently read mentor texts, and enter the Rafflecopter drawing at the conclusion of ReFoReMo. 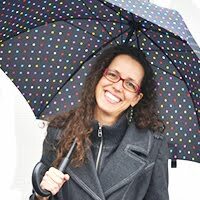 Deborah Sloan is a marketing professional with over 30 years experience guiding children’s book authors, illustrators, and publishers, reach the people who buy and sell their books. Sloan runs Deborah Sloan and Company and KidsBuzz and her passion for books and their creators drives everything she does. What interesting books! I look forward to reading these. I love your book list. I am unfamiliar with most of them and am looking forward to reading them. Thank you. I love it when I come across books I've never heard of before that I just know I want to read! Thanks for these mentor text recommendations, Deborah! Thanks, Deborah for your recommendations of books with a lasting message. Interesting, eclectic mix. I’ve never heard of any of these books, but they look great. Thanks for the suggestions. Thank you Deborah, for this interesting list of books. Looking forward to reading them. Thank you for this list. I just found a mentor text for one of my stories!!!!! Deborah, these stories all deal with big issues and there are a few I've not read. Excited to check out BRICK. Thank you. Great selection, so many new titles to explore. Thank you for sharing these, Deborah. I have added them to my list of must reads! Thanks for these wonderful suggestions. I look forward to reading them. So many different kinds of picture books these days. These sound beautiful. Can't wait to read them. I've only read one of these, but plan to read them all soon. Thanks for a great list and a great prize, as well! 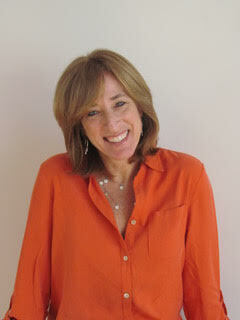 Deborah, thank you for what you do to promote picture books. Thank you too for introducing me to some new titles. Great to discover some new titles, thanks for sharing these important books! These books do have strong issues that kids deal with these days. Thank you for the suggestions. Thanks for your selection of books. What a fascinating career you have & what an interesting selection of "big issue" picture books you've highlighted. I loved Marwan's Journey & can't wait to read the rest of these. Thank you! These all sound and look fantastic, Deborah! Thank you. Big ideas are amazing! These all look like wonderful books. Unfortunately, my library did not have any, so I will be searching them out elsewhere. Thanks for the suggestions. We need picture book advocates! And these are certainly great books to promote. I just reviewed Nests for Sally's Bookshelf and love the artwork in that book. I love "issue" books! Can't wait to read Hazelnut Days. Thanks for sharing these great titles! My library doesn't have any of these. I was able to get BRICK on county loan, but I'll have to check used bookstores for the others. How sad that some books with these great reviews never make the shelves. Some great books here. Thank you for sharing. Thanks for recommending these mentor texts! I look forward to reading them. I haven't read any of these before. I am very excited! thanks so much. Thank you for these great examples. So far, I've only been able to get a hold of Marwan's Journey, but I'm looking forward to reading the rest. "And then she let go of the words and just felt the feelings" - BRICK. How oh sweet this little story about a BIG issue we have all dealt with as humans was. So endearing. It is always such a delight for me to read about big issues in these "little stories" through these "little characters". It is one of my favorite things about pictures books-the ability to tell something so BIG. Okay, the Brick book has me cracking up already! Love it! What a great concept! These are great recommendations -- I can't wait to read them all. Thanks, Deborah! These sound lovely! Time to ask our librarian to put these on her list for purchase! These look great. Especially Hazelnut days, a needed topic. Thanks for these great book suggestions. These big issues are so important to the littlest readers. Marwan's Journey and Hazelnut Days were beautifully powerful. Thanks for your selections. Impressive titles, especially NESTS. Thanks for the list. Wow - loving these great suggestions. Thank you! Interesting selection of issue books that were a group I would never have discovered on my own. I didn't find Nests locally but the others were books I would never have chosen so it opened me to new titles. I enjoyed exploring your suggested titles, and some were new to me, which I really appreciated. :) Marwan's Journey and Hazelnut Days were my favorites from this list--they're beautiful and brave. What a great list of books I wouldn't otherwise have known of. I literally said "wow" at the end of Hazelnut Days and also thought Marwan's Journey was especially well-done. Thanks for sharing all these wonderful mentor texts. Hazelnut Days is so needed today. And Nests, as well. Thank you, Deborah, for listing these books! I’m so excited to discover these titles. Thanks for the recommendations! Thanks, Deborah. The Brick book is fascinating to me. I love when MCs in a book are unexpected but when they also make perfect sense! Thanks, Deborah, for sharing these great big issue books, some with unusual topics. I have Brick and Marwan's Journey in my to read pile and can't wait to read them.Thanks for your interesting post. Thank you for this list. Brick and Nests, especially caught my eye! Kudos not only for sharing these books, but also to the author that decided a brick can be a great protagonist! Several of these titles are new to me. I look forward to reading them! Looking forward to reading Brick ~ similar idea to a story I'm working on! What an outstanding list of titles, Deborah. Thank you for introducing me to these books. I haven't read any of them--thank you for the list and your comments! I appreciate your recommendations. They sound fascinating, and I can't wait for them to arrive at my library. Who ever thought a brick could be a main character. How creative is that?? I will also be interested in Hazelnut Days, as several of the students on our mentoring program have incarcerated parents. Good books to buy for our kids. Thanks for sharing! Deborah, thank you for the list of interesting mentor texts. Some of these are new to me. I’m looking forward to reading Nests, and It’s a Girl Thing. My comments were to be entered as Gloria Reichert, not Unknown. My hubby was using my computer and changed some things. I thought I had corrected things, but it did not work. Sorry! These books seem amazing. I have requested them at my library. Hopefully, I'll be reading them soon. Thanks, Deborah! Deborah, thank you for these mentor texts which deal with issues faced by children. I've some reading to do! The big ideas are so important. Thanks for these inspiring suggestions. Thanks for the interesting list. Looking forward to reading and rereading! Wow! I read Betsy Bird's blog to find out more about Hazelnut Days. It was first published in French. I must get my hands on a copy or request a purchase at the library if they do not have it. These types of books are necessary. All of these are new to me. Thanks for sharing, Deborah. Thanks you so much for pointing out some great books that I hadn't seen yet. I just got Brick from the library. Such a great idea for a main character and beautiful illustrations. Thanks for sharing, Deborah! I'm looking forward to reading them. "Marwan's Journey" and "Hazelnut Days" are such powerful books. Great mentor texts yet again. I also loved "Brick". Looking forward to reading each one! Thanks! So nice to see a post from you, Deborah! Looking forward to familiarizing myself with these titles. Thanks so much for the suggestions! What a thoughtful, terrific post! Thank you for the wonderful book suggestions! Picture books are the perfect place for children to begin learning about and understanding big issues. Thank you for sharing this thoughtful books. Great list--thank you. Marwan's Journey is really beautiful and moving! I love that not one of the books on this list was on my radar before ReFoReMo. This is one reason why I love this month! Thank you! I've never heard of any of these books. Thanks for the great list. Thanks for introducing us to these books. I've seem Brick, but not the rest of the books. I'll be checking them out! Thanks Deborah. I love Nests. Here's to big ideas indeed. This is one of my favourite posts. I love books that acknowledge that children can be thinkers too. Hm, had not heard about any of these. Thanks for the list! These are some great mentor texts s for big ideas! Wow, these books are great and everything about them is spot on, as you say. Don't think I would have come across them if not for your recommendations, thank you! These books look fascinating. I just went to the library to pick up 8 books and came home with 21. I will get to these. So many books, so much writing, so much drawing and finally some lovely spring weather and a new dog. What's a woman to do? All of it. In time. Oh, I've never seen BRICK before- it'll be a perfect mentor text for a project that I currently have in development! Thank you for the great list. I've heard a couple of these and now I have a reason to read them!! Big issues, big ideas, good books. Thanks for this great list. Looking forward to reading them. Sorry our 3-county library system doesn't have any of them yet. More new titles to keep me reading! Thanks, Deborah. Still on the hunt for 3 of these...but Brick, here I come! Great titles! Thanks! Some tricky topics, beautifully written. Loved Marwan's Journey... have yet to find the others, but I'll keep looking! Looking forward to reading these! Thanks so much! Wow! What an amazing line-up of mentor texts! Some new books to add to my stack! I love the challenge of writing about challenging topics. I'm not familiar with these titles. I'm adding them to my reading list. Thank you for sharing these big idea mentor texts! wonderful books to read, and think on, thank you! Still waiting for these from the library but they look great! I love finding picture books like these that deal with big issues. They can be such a wonderful way to introduce topics to children that might not otherwise come up. Talk about big issues- Hazelnut Days was heavy, but very well done, the illustrations perfectly supporting the child’s difficult story. There’s a lot to think about in these books. Thanks, Deborah! Your chat with NPR led me to check out Marwan’s Journey. I look forward to reading the other books on your list. Small hands hold books with big ideas. Stellar list. What wonderful suggestions. The best books I've read from ReFoReMo have been the books that deal with issues. Thanks for sharing this amazing list of books. This is a nice list of books with strong, important themes. Thanks for pointing them out. some books leave me at a loss of words great choice of titles. thank you. Thank you for these thoughts and great reading suggestions. Such an important list! thanks for sharing! These are the books we need to know about! I love Marwan's Journey and now need to look up the others. I'm especially intrigued by nests. I wish I could get all these from my library, but two they don't have. Thank you for great selections. Thank you for sharing this awesome list of thought provoking books! Thanks for the great list of books with important themes! I was only able to get two of these from my library, but I enjoyed them very much! Wow - ReFoReMo has some devoted followers! I'm just now getting through all your comments. Makes me feel like a proud mama when I share the scoop on books that resonate with readers. If your library doesn't have them, ask for them! Here's to keeping the book talk going. I love nothing more. I couldn't get all the books either, but I really liked the story with the adventure of a brick. I think it's a great book to teach students about architecture! I wish I could've got to read the Hazelnut Days. I feel like this book could be very therapeutic for kids going through the same situation. Definitely a tricky topic to tackle! Thank you for sharing some of your favorites! Hoping to get my hands on these! I think picture book authors should be put in charge of everything! I LOVE these books..."It's a Girl Thing!" I still have to track down a couple of these wonderful books. Thanks! I absolutely loved BRICK. The rest are new to me and just as wonderful. Thank you! Great list!! I enjoyed these! Thank you for these great recommendations! I have not been able to find these examples so far. I hope I can soon. I especially love the idea of the Brick book. These are great titles! Many new to me, thank you! The two books that I read for this post were certainly some of the more unique works that I’ve seen this month. MARWAN’S JOURNEY had a haunting lyricism to it; the text and the style of the illustrations made me feel like I was reading a journal entry written in hieroglyphics by the light of a lantern. I can’t recall from my reading and I don’t have the book in front of me for reference, but I don’t believe any specific mention was made of Marwan’s geographical home, right? It seemed much more It gave the impression of a Middle Eastern or African country, but just by subtracting a few minor details the story sounded like it could have taken place *anywhere*. Who’s to say that our children might not one day feel the longing and fear of the unknown that comes with being forced from their homes? The book ends on a hopeful note, but that question remains even after the story ends. Then there’s BRICK. Talk about an out-of-the-blue concept. I feel like Joshua David Stein didn’t have any trouble convincing people that the premise was an original one. “Well, that’s certainly the first time I’ve heard *that* one,” I can hear them say. But what a wonderful lesson about finding your role in life. Not everyone needs to aspire to super-stardom; sometimes laying the groundwork for other people’s journeys is reward enough. And I liked how Stein augmented his narrative with factual tidbits like we saw earlier this month with BUGS DON’T HUG and HEY-HO, TO MARS WE GO. Who knew that architecture and empowerment could go together so well? Thank you for these great mentor texts. So unique! Great books. Thanks for sharing! I have not been able to find Brick, and I've just received It's a Girl Thing, but Nests was lovely. Marwan's Journey was very moving. It's difficult to think of a child experiencing such loss and displacement. Thanks for your list. I've not seen Brick or Nests but found the other ones interesting and the artwork complemented the text nicely. Thank you! Thank you for this list! These big ideas seem to complicated, but they don't need to be. Can't wait to read these "big", beautiful books! Thank you for sharing! These were all new to me - thank you for introducing me to such a fantastic list! I was really impressed by the unique POV in Brick and the incredible illustrations that matched interesting back matter. These sound amazing. And all are new to me! Thank you for sharing. REally thought provoking, and adding Betsy Bird's description only strengthens interest in a story, and all of these are amazing sounding. Wonderful - from Brick to Marwan, the whole list. Thank you! Keeping a couple back to study more deeply. What a lovely group of tough topic books. Every one of these books was unexpected in a good way! They feel so real, too, even as they convey a message. Thanks for the share! Thanks for sharing! Deborah you have such a wonderful job! I'd love to hear more about how you work! Thanks for the Big Ideas. Adorable texts. Loved Hazelnut Days - a beautiful way of presenting a tough subject. I'm excited to track these down. I'm especially interested in looking for "Brick". These books are all totally new for me and I write about tough topics so they can teach me lots.